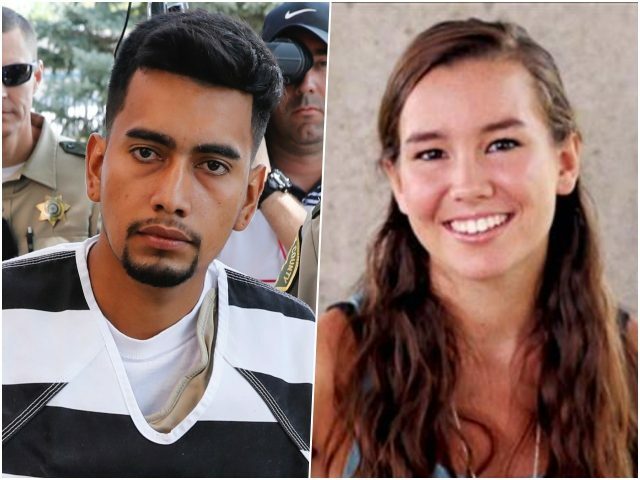 The defense attorneys representing the illegal alien accused of murdering 20-year-old Mollie Tibbetts say it is the foreign national’s “constitutional right” to receive American taxpayer funding to fight the murder charges against him. As Breitbart News reported this week, 24-year-old illegal alien Cristhian Bahena-Rivera has been given $5,000 in U.S. taxpayer dollars to hire an independent investigative team to fight the murder charges against him. Last month, law enforcement officials announced that Tibbetts’ body was found in a cornfield in her rural hometown of Brooklyn, Iowa after she was last seen jogging on July 18. Illegal alien Cristhian Bahena-Rivera, a 24-year-old from Mexico, has been charged with first-degree murder in Tibbetts’ death after police say he admitted to confronting and chasing down the young woman. The illegal alien lived in a region of Iowa that was surrounded by sanctuary cities, as Breitbart News noted, and an initial autopsy report revealed that Bahena-Rivera allegedly stabbed Tibbetts to death.